The Lexington Hotel has a full and wonderful history filled with celebrities and hula dancing. At present, the most notable feature is their recently renovated $1,200/night Norma Jean Suite, named after Marilyn Monroe who briefly called the 600-square-foot suite home during her 22-month marriage to Joe DiMaggio, from January 1954-October 1955 (h/t NYP). 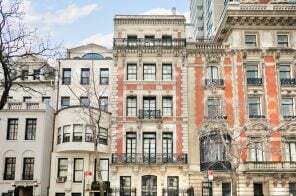 This is also where she lived while filming “The Seven Year Itch”–and its iconic skirt-blowing scene!–just a few blocks away on 52nd and Lex.